In running your fleet, it’s critical to meet ongoing environmental targets and capitalize on the available financial incentives. Our team at STTC has worked with fleet operators across the country to guide them on the environmental advantages of tire retreading. And within our latest post, we’re exploring these benefits and explaining their value to your business. The data shows that 21 gallons of oil are used to produce one new tire. While only 7 gallons of oil are used to produce each retread tire. This means that 14 gallons of oil are saved each time a company chooses a retread tire over the equivalent new tire option. The number of tires now in landfills is now at over 800 million. And the data shows that re-using tires before they become scrap products can help to reduce the landfill impact by a factor of three to four. The material comprising the tires can also be used more effectively when used in the tire retreading process. They contain 75% post-consumer material, ensuring that material that would otherwise not be available for use in the marketplace is now reworked back into the production process. Tire retreading is now a quickly growing industry, both in the United States and across the globe. The studies show that 13 million tires are retread annually, ensuring that their materials remain out of the local landfills and are used more effectively to help companies support their environmental initiatives. Beyond the environmental benefits, there are many business advantages to consider when reviewing tire retreading. Growing fleets across the country are now generating significant economic value simply by turning to retreading over new tires. A retread tire costs on average 1.5 cents per mile compared with a new tire that costs on average 4.5 cents per mile over its lifetime. Our trusted team here at STTC can help your fleet gain the many benefits of working with quality retread tires. 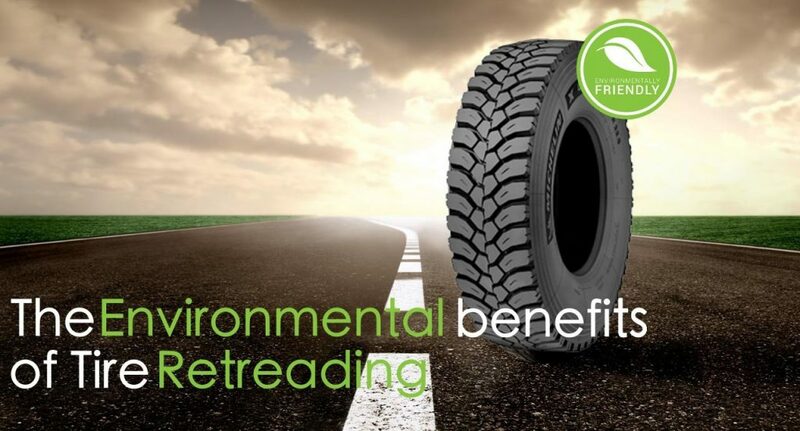 To discover more about the environmental and economic benefits of tire retreading, contact us today.